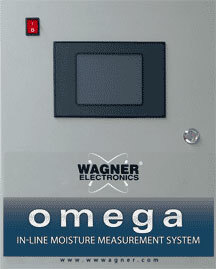 Omega, Wagner’s latest generation of moisture measurement systems, continues our legacy of providing comprehensive and robust moisture measurement and data analysis tools that are so critical now for today’s modern wood products mills. Specially designed for the lumber mill or wood products manufacturing environment, Omega and its optional data collection and analysis software is an invaluable tool for improving your kiln drying or overall moisture quality control. Up to eight sensors can be installed between the chain races. Boards pass over these sensors at a high rate of speed, and multiple moisture content (MC) readings from each sensor are taken on every piece of lumber. Those that have an out-of-spec (too wet or too dry) MC can activate outputs in the Omega system’s main console to trigger spray-marking devices or your dropout gate. If your application requires longitudinal measurement of your lumber or wood components, then an end-to-end sensor version of Omega is an option. 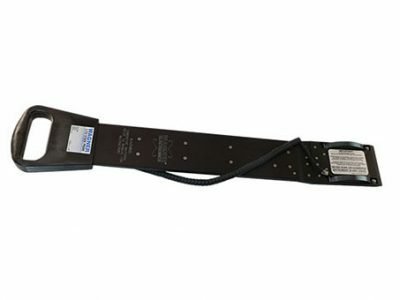 Most often installed on the outfeed side of high-speed planers or moulders, an Omega system with an end-to-end sensor scans your lumber, flooring, or wood components at over 300 measurements per second. 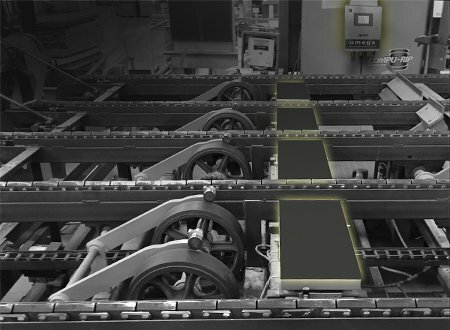 End-to-end measurement is preferable when, for example, there is a need to identify wet pockets along the length of lumber that will be sold to laminated beam manufacturers. 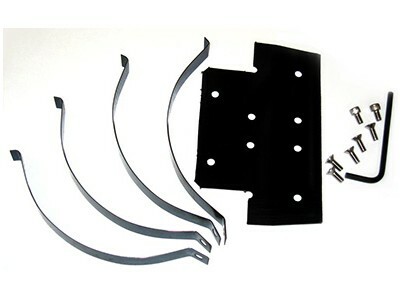 It will also allow the identification and trimming out of wet areas within strip flooring. Additionally, with Omega’s fast scanning rate capability, board MC can be profiled in great detail along the length of boards with this high-speed data being communicated to today’s sophisticated grading systems, providing additional moisture information for your automated lumber grading solutions. Omega’s optional data collection and analysis software, gathering moisture data from every measured board, offers you a comprehensive tool to help pin down kiln drying or moisture-related manufacturing problems and can assist in the identification of lumber suppliers that are not meeting your moisture specifications. For in-depth kiln analysis, primary mills are able to map packages in the kiln and determine hot or cold spots based on moisture data from the planer mill. Moisture data by product is also available. For the secondary manufacturer, you are able to analyze your key lumber suppliers and, if necessary, help them provide lumber that better meets your moisture criteria. From the sensors to the main cabinet, Wagner’s Omega system has been ruggedly and thoughtfully designed to stand up to the tough lumber mill or wood manufacturing environment. 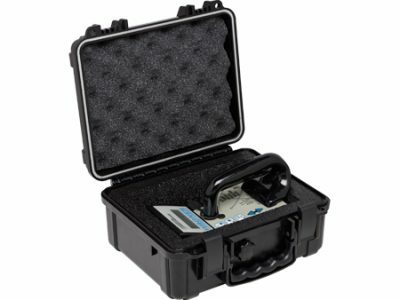 Looking inside Omega’s weather-resistant cabinet, you’ll find very durable, industry standard input/output modules that are convenient for wiring and easy to replace. The industrially-hardened LCD touchscreen user interface is resistant to moisture, dust, and other harsh elements. An easy-to-navigate menu allows for quick setup and configuration of your system. Wagner has built a reputation for servicing customers efficiently and in a timely manner when problems arise. With Wagner, you get the long-term support you should expect for Omega and other Wagner products; this support includes remote online troubleshooting of your specific system application. 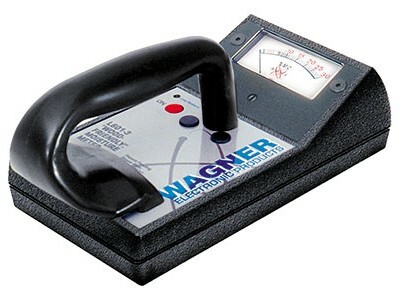 At Wagner, our goal is to provide superior customer support.